-More than 15 days before the original check-in date, will be charged 25% of the total amount of the reservation. -8-15 days before the original check-in date, will be charged 50% of the total amount of the reservation. -7 days or less prior to the original check-in date, will be charged 100% of the total amount of the reservation. No refunds of late cancellations, no-shows, unused portions of vouchers or early departures. 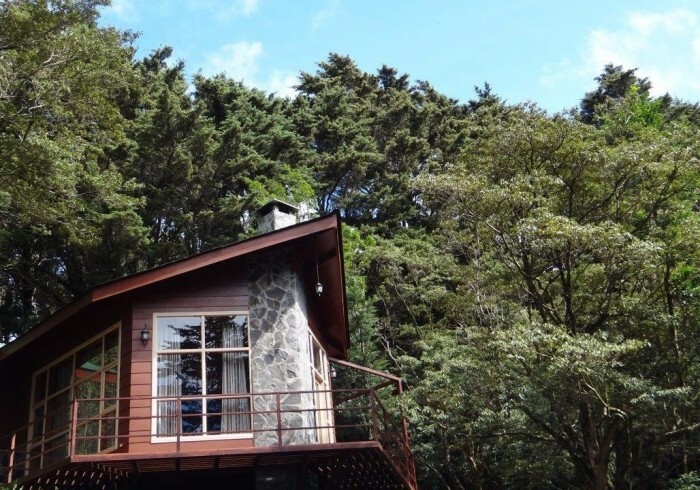 Cabañas y Jardines de Monteverde S.A. (Los Pinos) requires your credit card information to hold and guarantee your reservation. If you cancel before your arrival date, we will charge your credit card in accordance with our cancellation policy. All cancellations or modifications have to be done via e-mail. Modifications will be treated as cancellations and are subject to availability. You will pay at check-in, we prefer CASH, Visa, MasterCard or Amex. One child under the age of 11 can sleep for free, using the available sleeping spaces. Two children under the age of 11 pay as an extra adult. Any person 12 or older, pays as an adult. It is agreed that Los Pinos will be relieved of its obligations in events such as fire, flood, strike, lockout, order of government authorities, bad weather or any reasonable circumstance beyond its control. Los Pinos is a “Tico” (Costa Rican) family company that has been here in Monteverde since its origins. We are dedicated to the sustainable lodging of couples or families, in fully equipped cabins; we also protect our private reserve and the forest by calculating and reducing our ecological footprint. We participate on and support local development initiatives for the Monteverde community, as this is the environment that we live on. Over the past 28 years, we have learned from our guests, that a high quality and an authentic service, is the best form of recommendation, for which we thrive to fully accomplish these aspects. We, the Los Pinos Family, believe in the healthy interaction between the visitor and the environment, so that they can both coexist, without damaging the natural equilibrium that allows Monteverde, to be the most visited Cloud Forest in the World.